PURPLE LOVE: Not literally, but as in this bride's love for the color purple. This pertinent, yet only information was all I was given when I began collecting inspiration for our recent bride. While pairing subtle touches of metallics, fresh lavender, letterpress printing, and preserved skeleton leaves, the unique details gave a classy take to this suite. Right before June rolls around, dads and grads finally get the spotlight. They have worked hard for their achievements, so let’s congratulate and celebrate them for their dedication, time and commitment. Shop one of our newly curated sentiments for the special “dads and grads” in your life, and write on the inside to show them your appreciation and how much they mean to you. I have learned the true meaning of unconditional love. I have matured from a shy girl to a strong woman. I have persevered through the most difficult patches of my life. I have smiled and laughed my heart out. I have become a dreamer. Mom, because of you… My world is full of wonder. P.S. Sorry, mom, I couldn’t say because of you I have learned to cook, even though you’re wonderful at it. Welcome to the TMI blog! I’m hoping this blog will serve as a creative outlet to showcase my obsession for all kinds of paper, design inspirations, useful tips and information (we’ll keep it short and fun), collaborations with other talented artists, and maybe topics that come to me on a whim. Formerly known as Angela Calligraphy, I started pursuing my passion as a freelance calligrapher a few years ago, where my services were solely focused on lettering. However, I always had a vision of combining calligraphy with the various options of incorporating stationery, which would encompass the essence of the newly founded truly.madly.ink. I’m often asked how I got into calligraphy. It was a few years ago when my cousin was getting married and asked me to address her envelopes (she may have thought I have nice handwriting). It was after my first “addressing job,” that I began my intensive practice sessions, because I immediately knew this was something I truly loved doing. I am mostly self-taught, however, I also took multiple workshops from calligraphers that inspired me. Calligraphy is not an art that can be learned without practice and patience, but my love for paper, ink, and the handwritten experience, made it worth the effort. 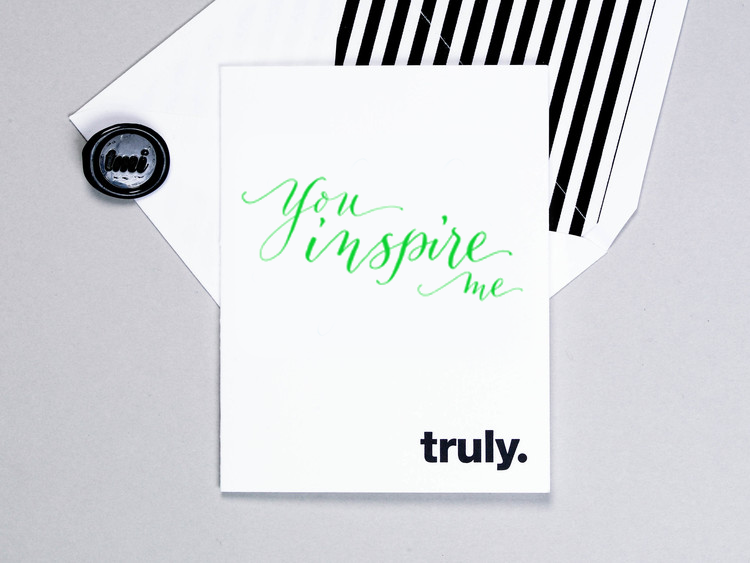 Upon receiving one of our cards, you’ll experience heartfelt impressions. 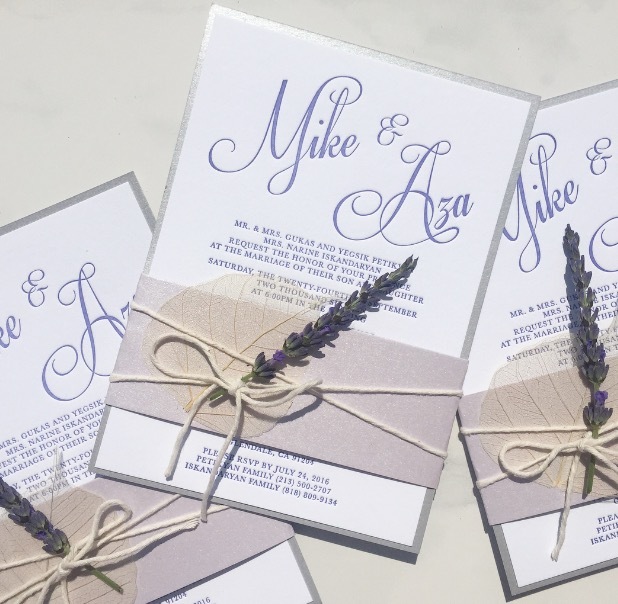 From the hand-calligraphed sentiment on each card, to the letterpress imprint, and the handmade wax seal, every aspect is distinct in its attention to detail and a labor of love. As each card is its separate component, it is also a part of the entire identity, with the “ink” component representing the vast calligraphy services offered. The “truly” cards convey sentimental and romantic messages, while the “madly” cards are passionate, bold and significant. 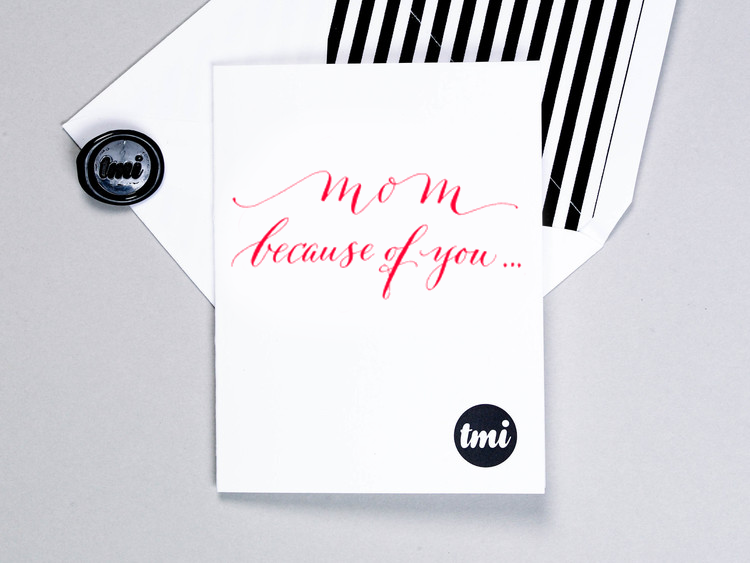 Our “tmi” cards represent fun word play, and over-the-top messages that are just TMI. Starting anything new, especially a new business takes grit and courage, but with determination and hard work, visions and ideas can turn into reality. Thank you for coming along with me on this journey.